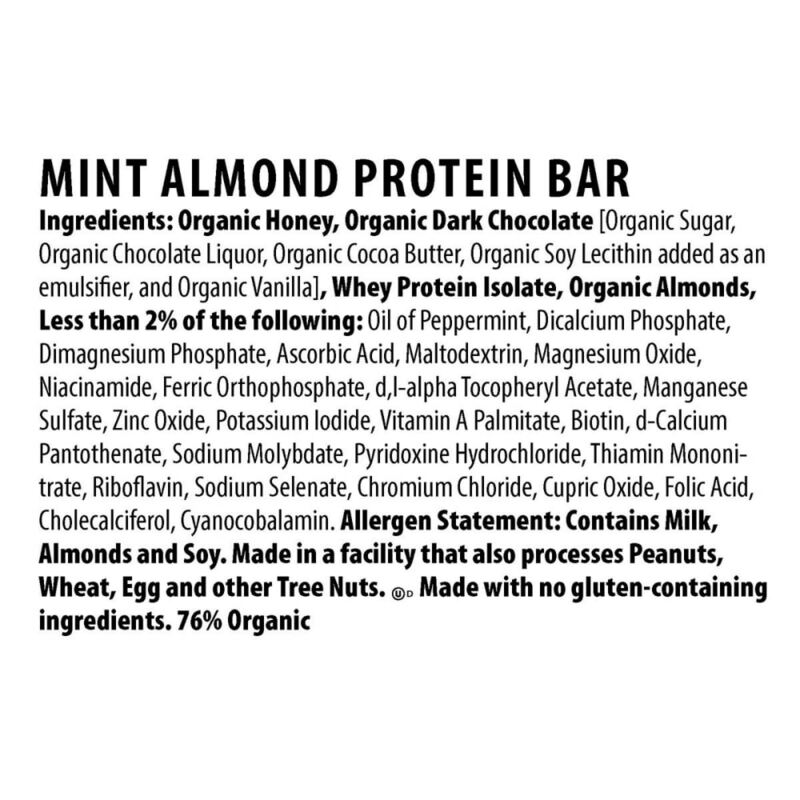 This Dark Chocolate Mint Almond protein bar is coated with dark chocolate, surrounding a perfect mix of refreshing mint and almonds. 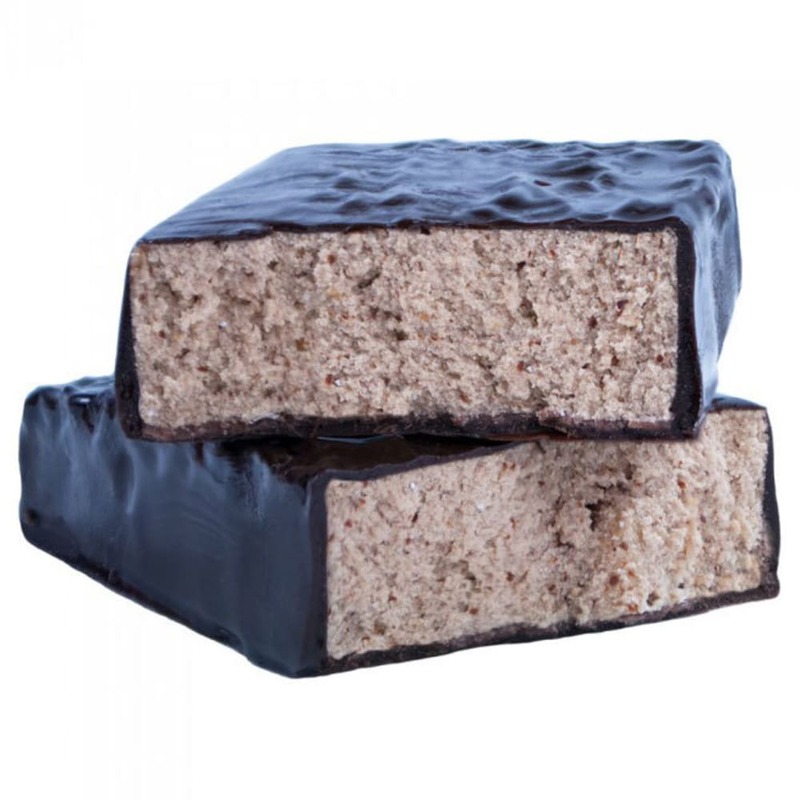 A truly great-tasting meal replacement snack or after-workout recovery bar, our protein bars contain gluten free ingredients and no trans fats. 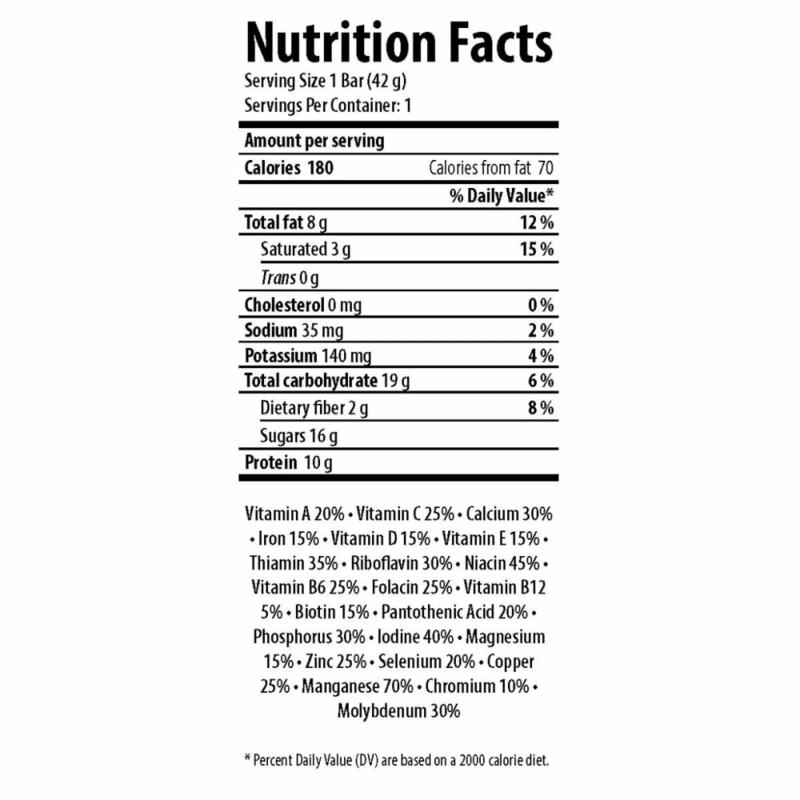 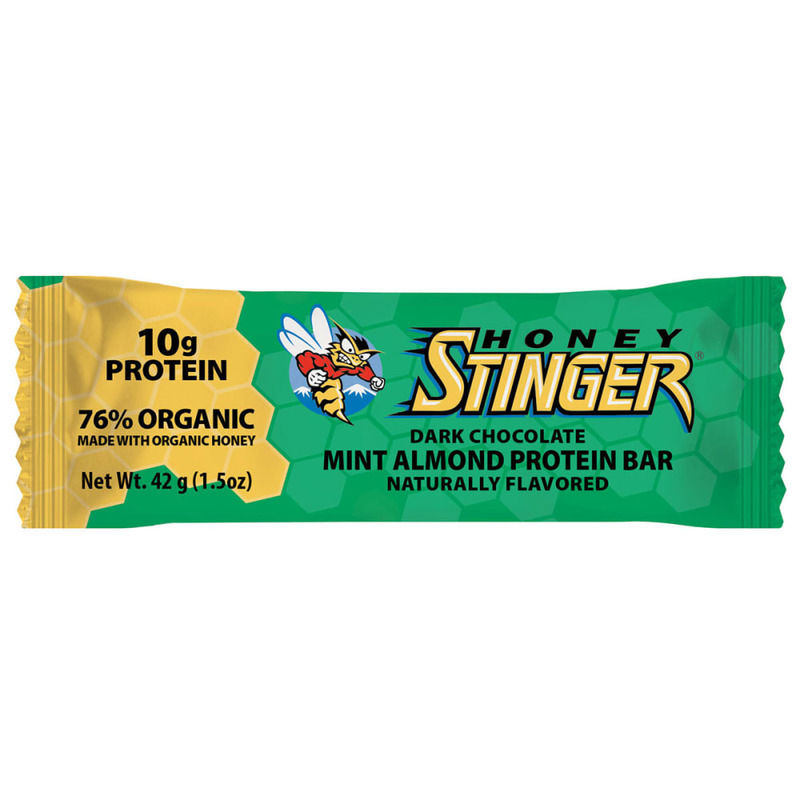 Honey Stinger protein bars are truly unique as they include over 30% USDA certified organic honey, 10 grams of whey protein - 20% of the daily recommended allowance, 23 vitamins and minerals, calcium and antioxidants.